Summer Camp Registration Available Now! GOAT Training has arrived at EC+F! GOAT is offering their signature kettlebell conditioning and cardiovascular conditioning classes. Come on in and check out your new Climbing + Fitness Gym! Eagle Climbing + Fitness Is OPEN!! Eagle Climbing + Fitness is a first class indoor climbing facility. 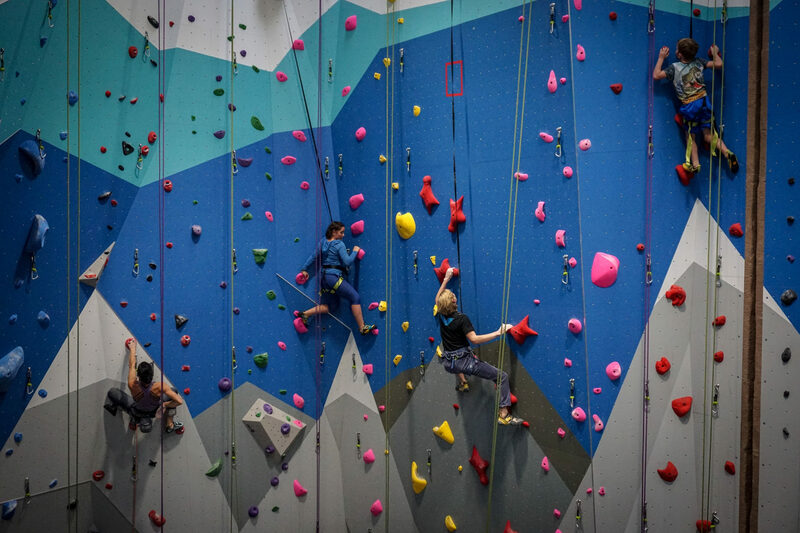 Eagle Climbing + Fitness offers top-rope, lead climbing, and bouldering, along with options for everyone, from beginners to professional climbers. A complete fitness center and yoga studio provides training options and classes for all athletes, climbers and non-climbers alike. 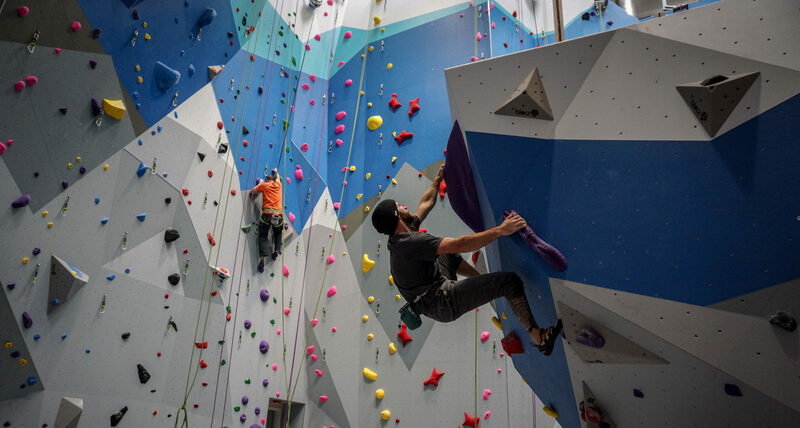 The large, open design of this purpose-built facility is ideally suited for hosting climbing competitions and special events. A contained, private teaching area is designed for lessons, team practices, youth programs and birthday parties, while leaving the main gym area open for our members to enjoy. See you soon at Eagle Climbing + Fitness! Our fun and unique Pump r Jump citizens competition is sure to make you and your friends smile, sign up today! As we are growing into our space, we want you to have the opportunity to share any feedback you may have for us. Use the form below to share your thoughts, including class ideas and times, routesetting feedback, and facility upgrades. All questions are optional, so you can pick and choose which topics to chat about! Our mission is “Building Strength in Our Community.” By this, we mean to create positive social impact through our programs and events, to help our youth and adults to build strength amongst them in our local community. The experienced, knowledgeable staff and open environment will help foster community growth and develop more active members. Diverse offerings within the facility allow participation by children and adults, beginners to experts. A strong community presence developed through programs, classes, teams, competitions and a variety of local events. 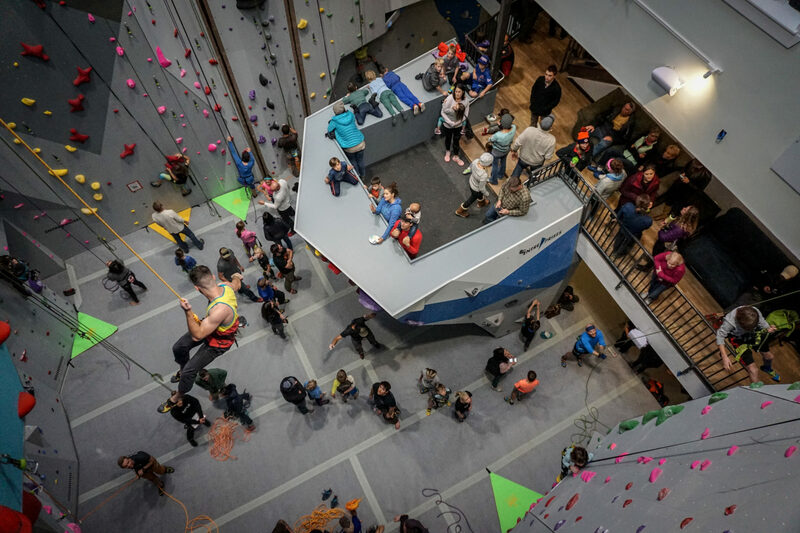 Clean, open climbing areas surrounded by ample social space, with excellent air quality and a balanced blend of natural and artificial lighting – perfect for community events. A variety of climbing and training options to suit everyone from beginners to pro-athletes, including separate space for teaching children. Utilizing yoga and fitness areas allow choices for cross training or non-climbing members. An easily accessible location with ample on-site parking and near the bus route. Have a question about about Eagle Climbing + Fitness? Visit our contact page and fill out the form, and someone from our team will get back to you shortly! Sign up to receive our emails about updates, events, and more!